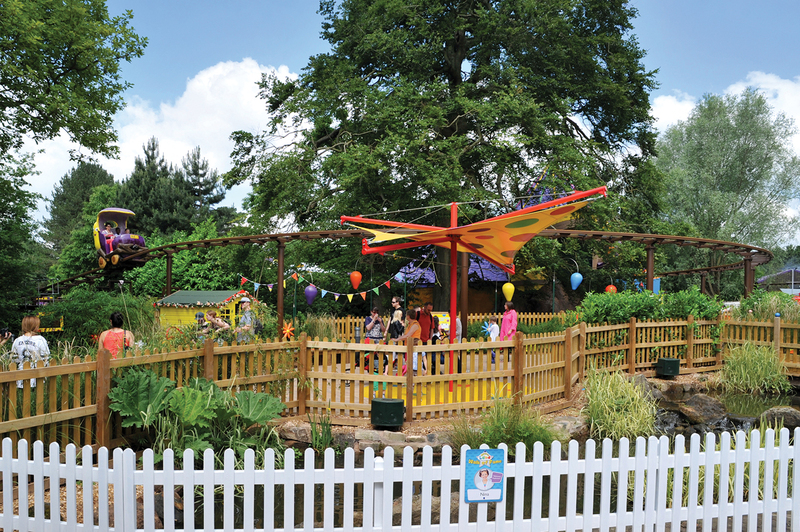 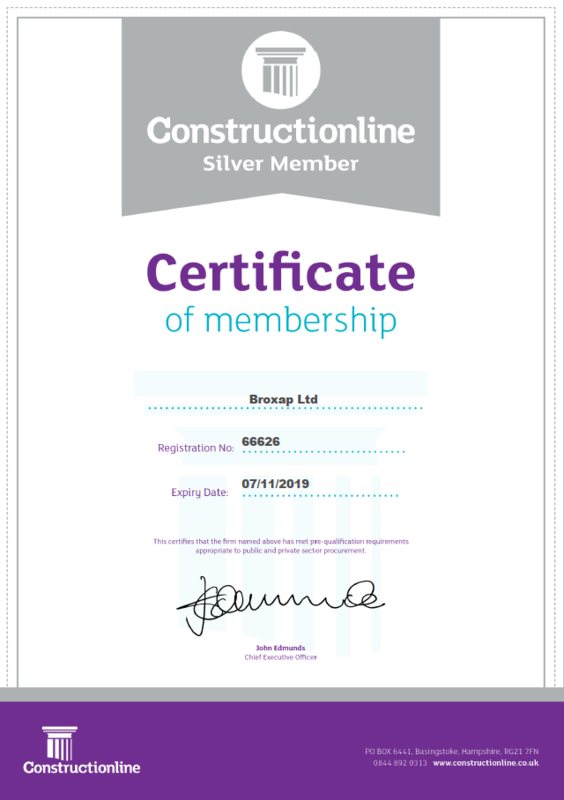 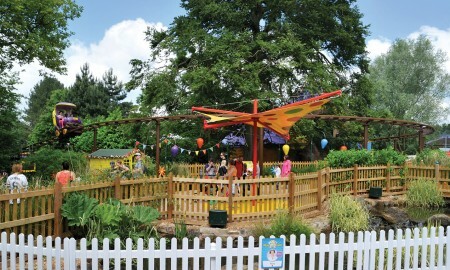 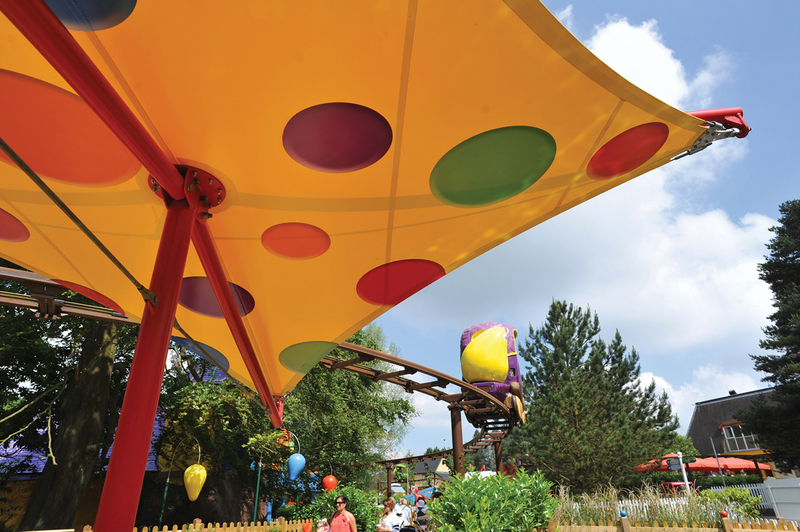 McL Projects contacted us on behalf of Merlin Entertainment regarding their new ‘Cbeebies Land’ to be located within the Alton Towers resort. 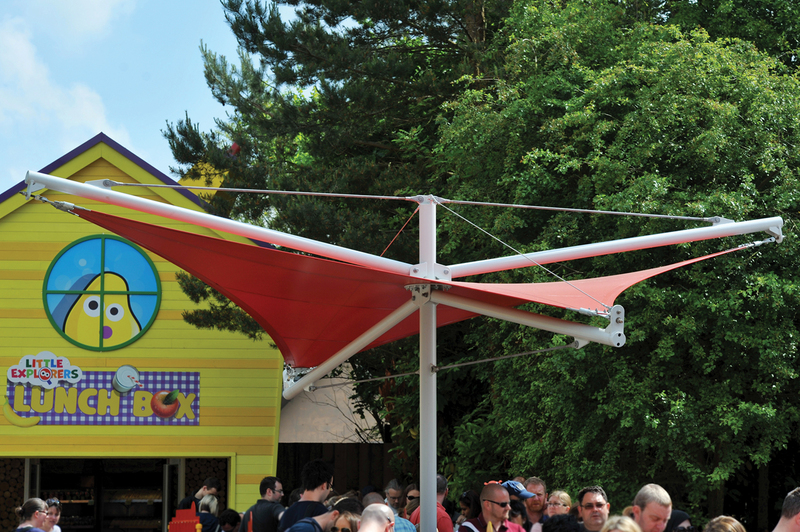 They required 4 shelters to be positioned in various locations within the new attraction. 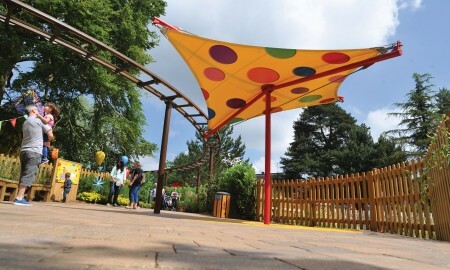 Impressive structures were required for parents with small children in buggies to be able to shelter from both sun and rain. 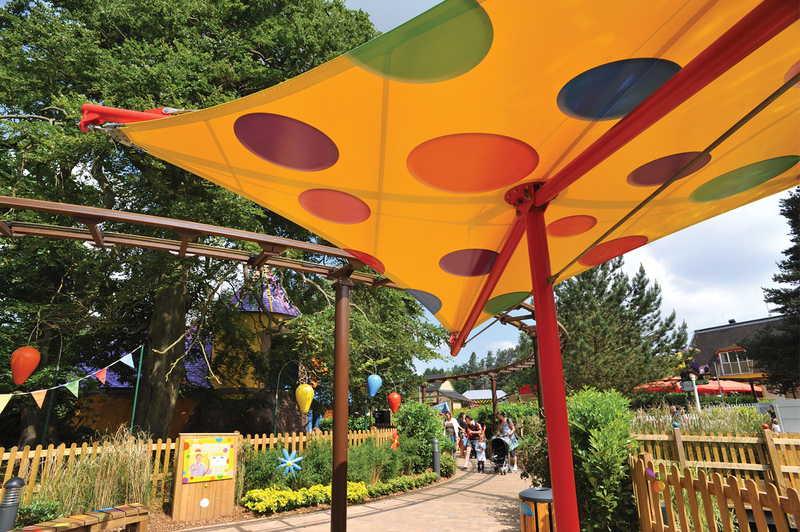 The canopies also needed to be bright in colour and have branding printed onto them to be in keeping with the Cebeebies theme. 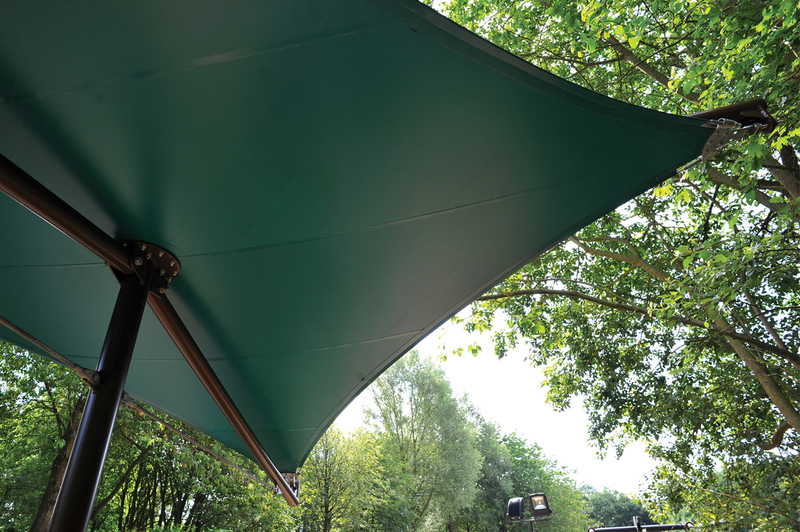 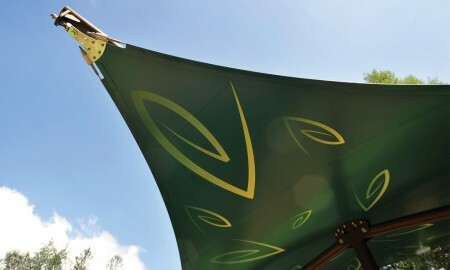 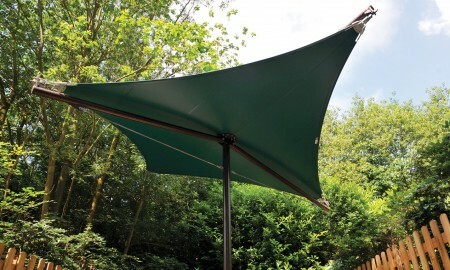 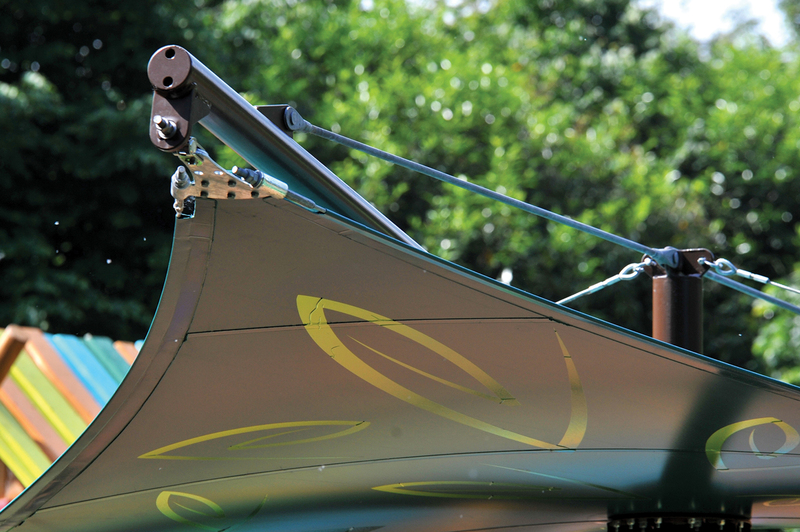 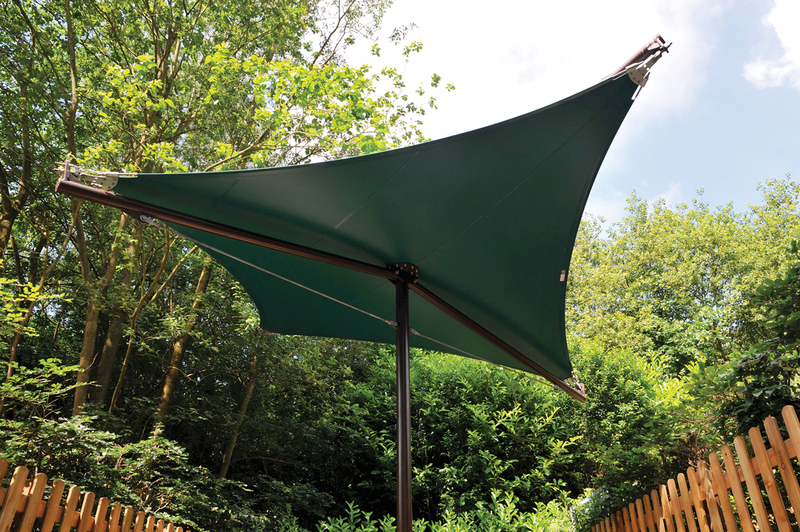 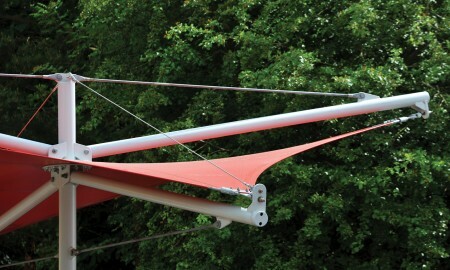 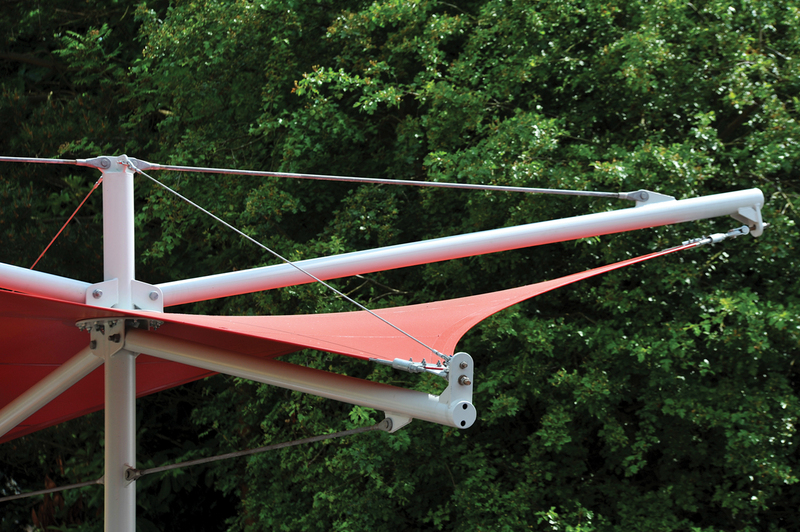 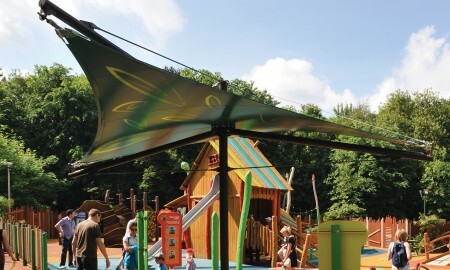 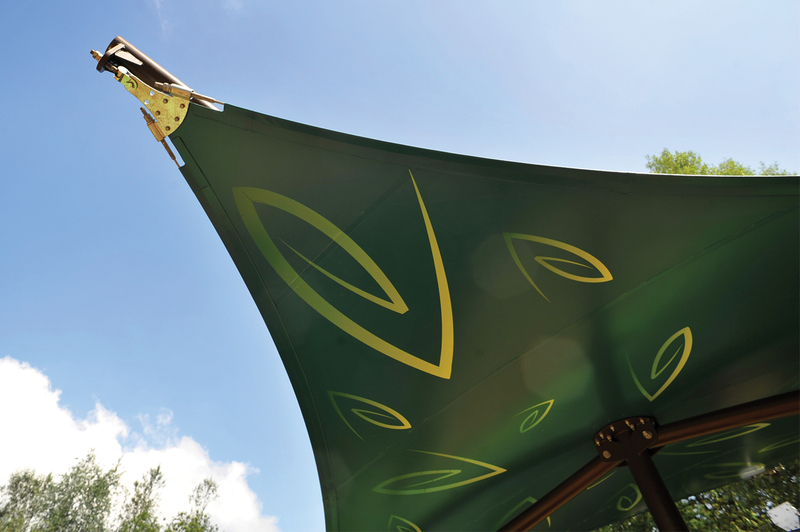 After visiting the attraction we offered our Kite tensile canopies that have a stylish Hypar shape, and with only 1 column reduces any obstacles below the canopy. 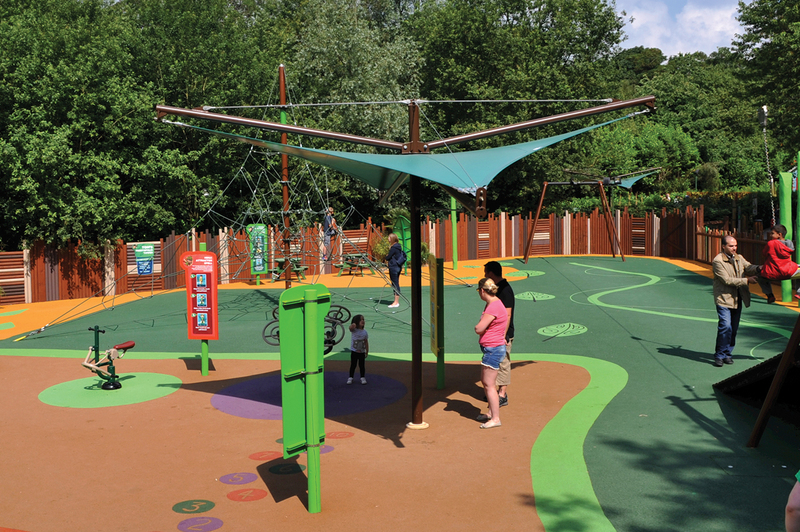 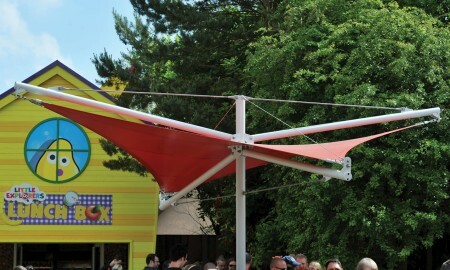 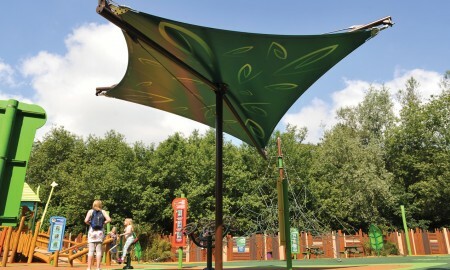 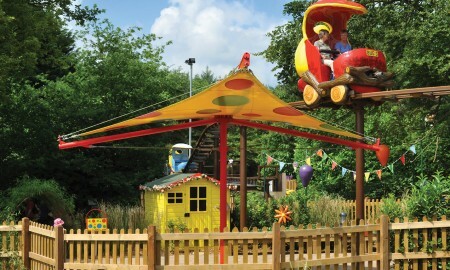 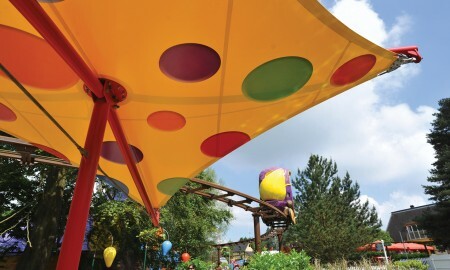 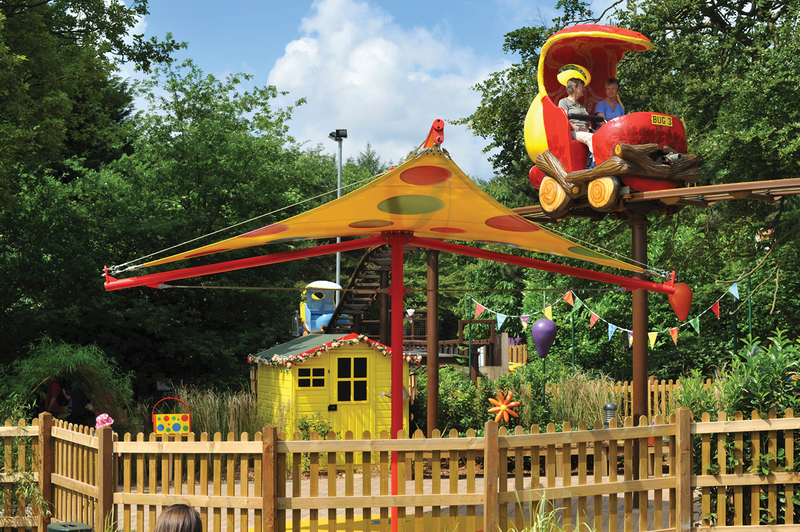 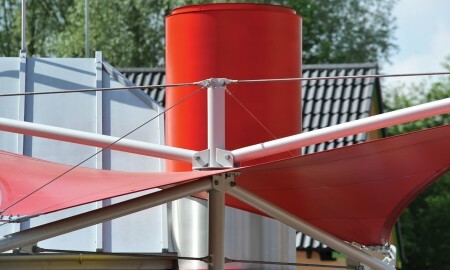 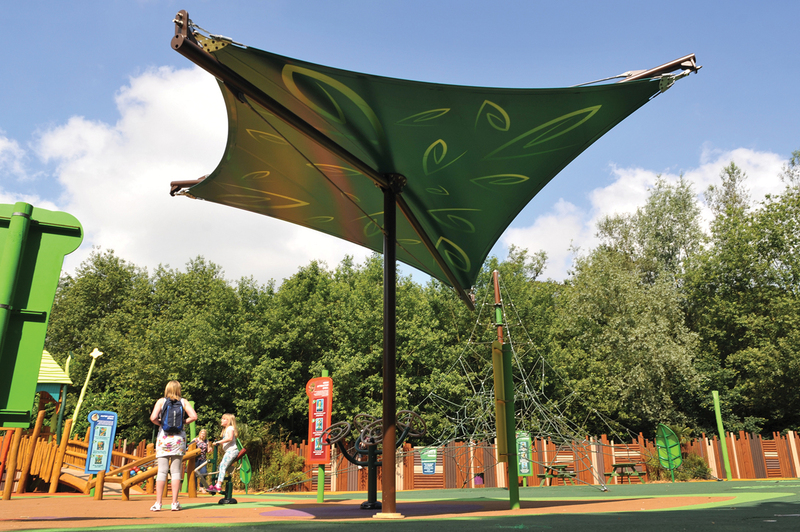 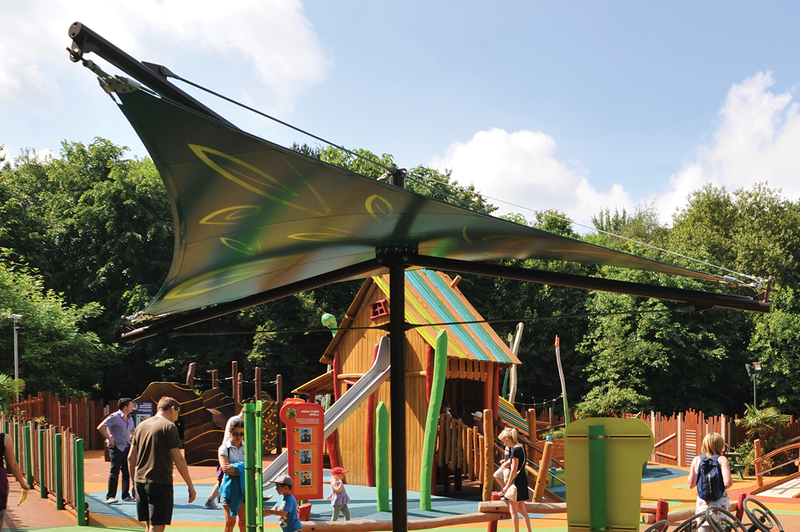 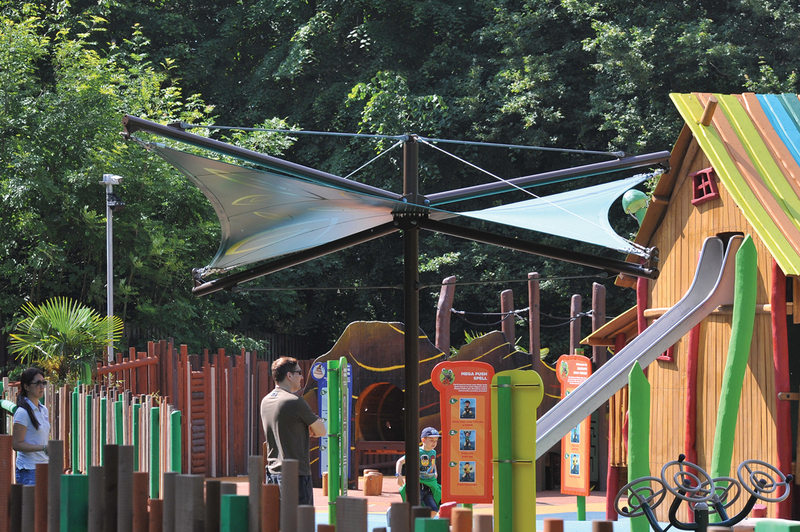 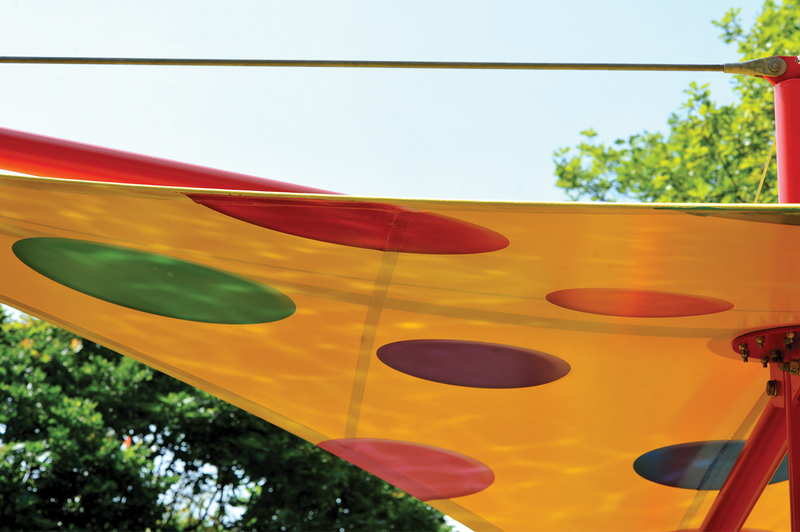 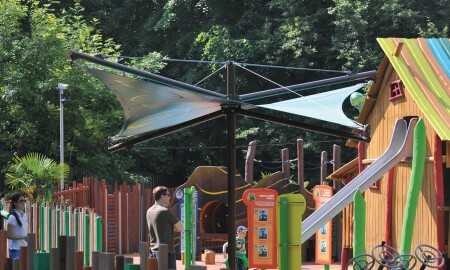 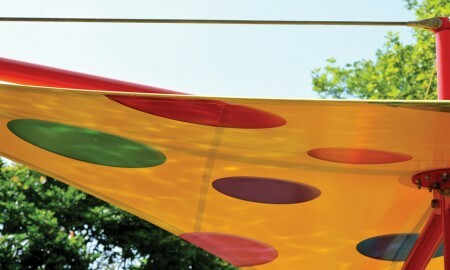 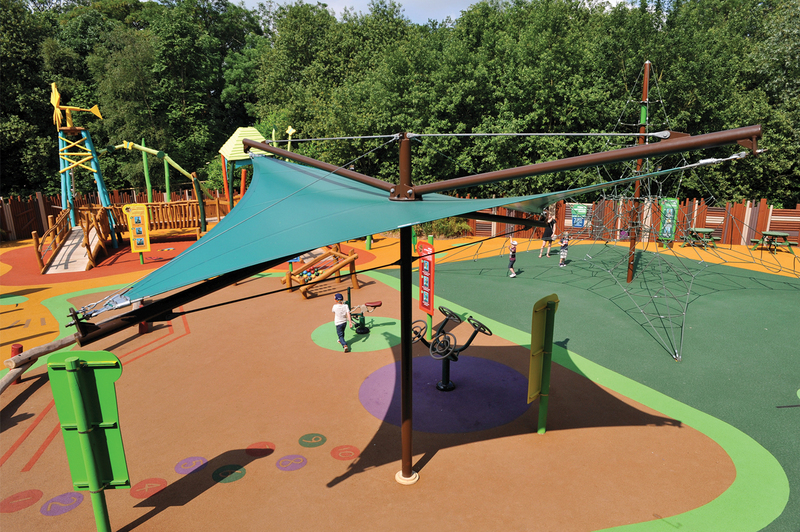 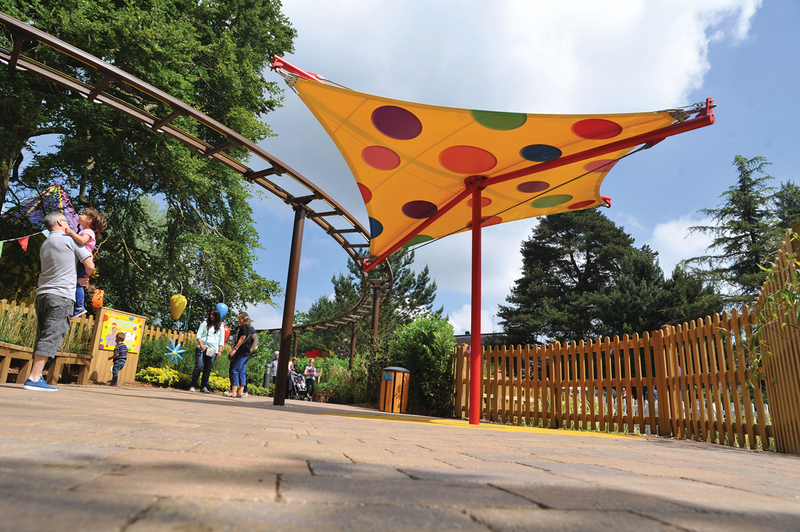 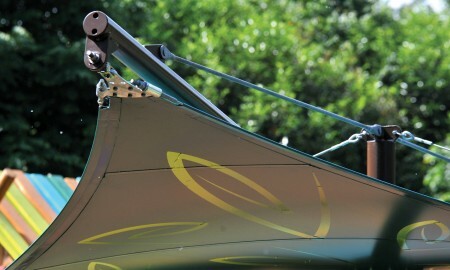 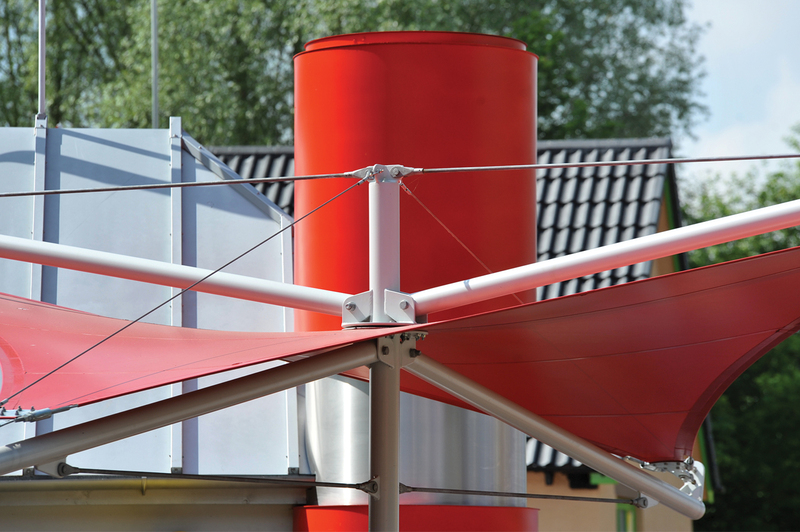 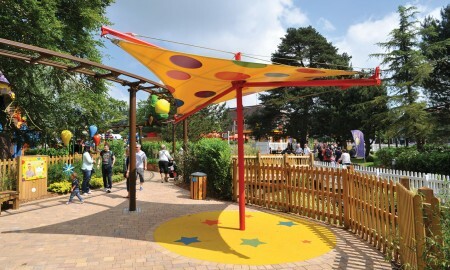 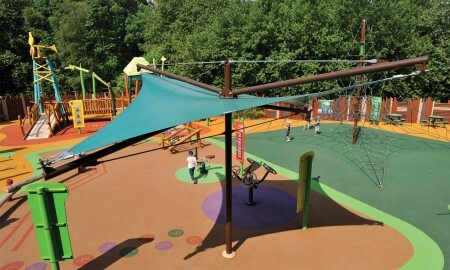 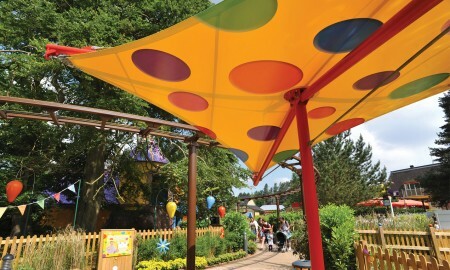 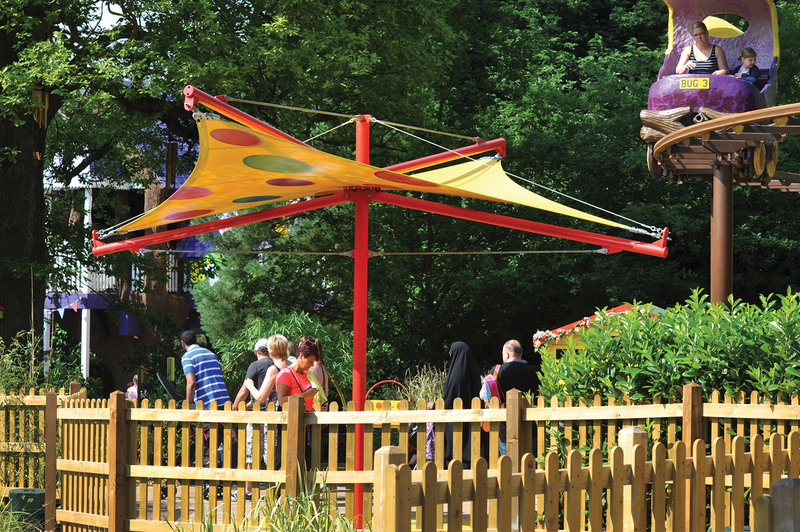 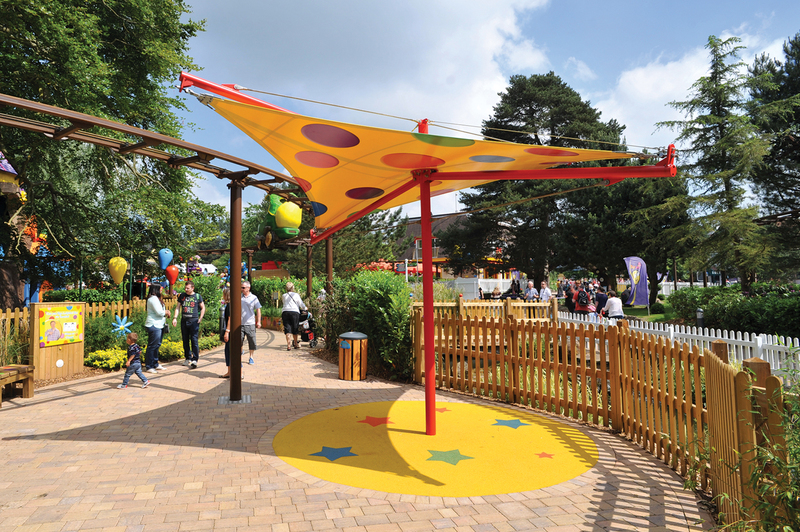 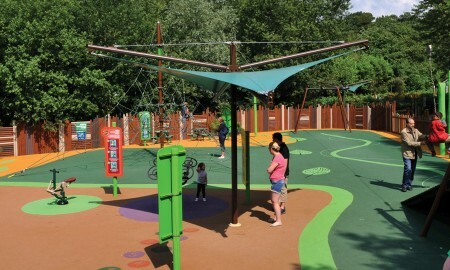 These colourful, vibrant canopies take price of place within this exciting new attraction.